Enjoyed the festival, the Manics was a great headliner to book. All good at my local Fest. Only suggestion which spans the last 2 years, is try to for longer sets for the top 2 slots. Example, The Charlatans set was too short when it must have been a close run thing to headline along side Primal Scream last year, with PS getting the edge. The second billing band's set times are too close to acts on much earlier in the day. Please keep a day for top quality indie bands, hope to see Echo & Bunnymen next year!? The weather was brilliant so that always helps! The bands ALL sounded great- the sound system was really well balanced. There was enough space to get to see whatever act you wanted to without being squashed or miles from the stage. Plenty of food and drinks outlets- very well organised. "Great shows, good sound, good festival"
Great shows, good sound, good festival. Manic Street Preachers and Leftfield were excellent, Starsailor and Badly Drawn Boy were very good, the festival was well organised onsite, good travel arrangements. But some gripes, the beer and alcohol situation was poor, really poor choice of one lager, one ale, two ciders, plus extortionate prices prosecco, wine and jäger tents. Festivals have to stand out these days, no craft ales, no local breweries when we have Mad Squirrel, Fishers, Rebellion and Malt all close by. No gin or other sports. Food stands were OK, decent range. More communication on band timings / stage timings before the day would have been good. 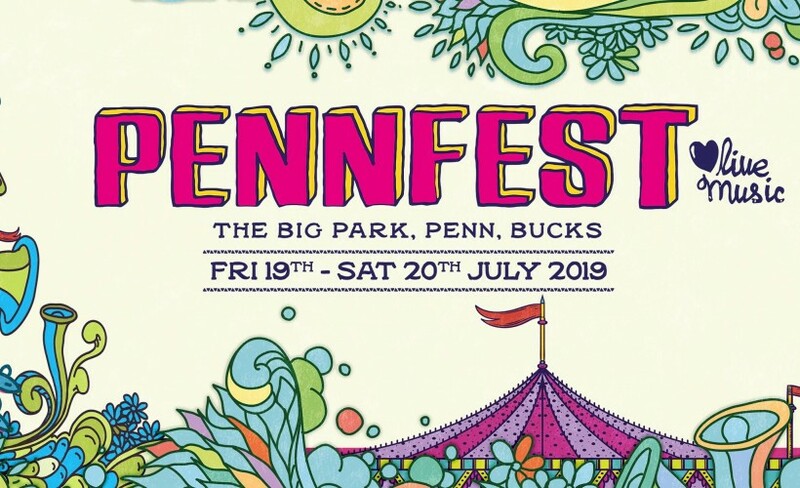 "The Penn Festival Payment plan meant Penn Fest was accesible to us." We had a brilliant time. Scarmongas were brilliant and Echo, not forgetting the Chiefs and Manics. Noasis should have been on the stage as the dust in the big top was unbearable. Due to the dry weather conditions warnings should have been given re smoking. I saw many people just tossing end of cigs away. Maybe have some smoking places with water containers to extinguish. Overall a fantastic experience. "Small Festival / Great Day"
I'd not heard of the Penn Festival before despite only living about 20 miles away. So my main reason for attending this year (2018) was because the Manic Street Preachers were playing; I wasn't too bothered about any of the other acts even though they were ones that I had heard of. Well I arrived at about 2pm (the Shuttle bus from High Wycombe was a good) and the whole day was excellent. For me obviously, the Manic Street Preachers were the highlight but I was also really impressed by Leftfield and Badly Drawn Boy. It wasn't too crowded, there was a good choice of good food, and important to me - a festival with decent beer - from the local Rebellion Brewery. I plan to be there in 2019.